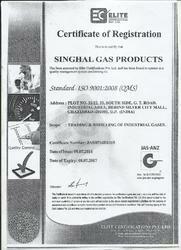 Established in the year 2009, at Ghaziabad, Uttar Pradesh, India, “Singhal Gas Products” are a reputed manufacturer and supplier of highly pure Industrial Gases , Storing Equipment, Gas pipeline, mixing pannel and PRV System. 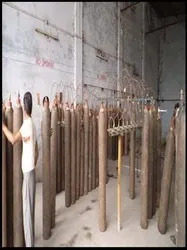 Our products are used extensively in many industries, and have various applications. 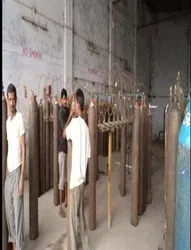 By offering these pure gases, we have been able to carve a niche for ourselves in this highly competitive industry.Also we provide gas solution to end users. We have an expansive infrastructure facility, which comprises of a manufacturing unit, a testing laboratory, research & development wing and warehousing division. All units are manned by experienced professionals who carry out their respective tasks very meticulously. The team tries to compose the gases safely and as per the defined industry standards. Due to a wide distributor network, we have been able to effectively promote and supply our products to many reputed organizations, especially in Northern India in a stipulated time frame. Some of the reputed organizations which have trust in our abilities as a competent organization are Hero Motors, Jubilant life science ltd and Sheta Engineering. We are headed by our owner, Mr. Aman Singhal, whose in-depth industry experience has guided us in offering better products to our clients. He is the driving force behind all our operations, and his tremendous efforts are the main reason for the exponential growth of our organization. Manufacturing & Trading of Industrial Gases & Storing Equipment. We process and supply a quality range of Industrial Gases that have numerous applications in various industries. The gases offered by us are composed according to defined industry standards, and comply with all national and international quality norms. We have set up a testing laboratory for quality control purposes. This unit is equipped with latest technology based machines to ensure uniformity of quality in the entire product range. 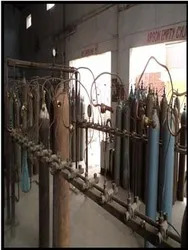 The products are tested on well defined parameters, such as chemical composition, isotopic purity and exact chemical ratio. We also carry out all the necessary tests during various stages of production to make sure that the gases have isotopic purity, correct composition and exact chemical ratio. 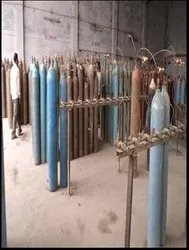 We offer different types of Industrial Gases that have various applications across varied industries. The range of products available with us is well accepted throughout the Dyes & Chemical Industry and is highly appreciated by our clients. We have an industrious team, which works tirelessly to provide the clients a quality range of Industrial Gases. Our professionals have considerable industry experience and are considered the best in their respective fields of work. The workforce makes diligent efforts for successful completion of the endeavors undertaken by the company. We are a client oriented organization, focused on offering pure Industrial Gases to the clients. Due to this approach, we have been able to provide the clients effective solutions for their Industrial Gas requirements. With the help of our excellent product line and ethical business practices, we have earned the trust and confidence of many organizations in various industries. Our alliances do not end with our business dealing, we maintain amicable business relationships with all clients and maintain friendly relationships with all customers.